Amie is a national security expert who has decades of experience managing programs to protect us against nuclear, chemical and biological threats. As Deputy Under-Secretary of the Army under President Reagan, she managed the environmental cleanup of decommissioned bases, and led efforts to protect our troops from chemical and other unconventional weapons and to destroy the existing U.S. stockpile of chemical weapons. 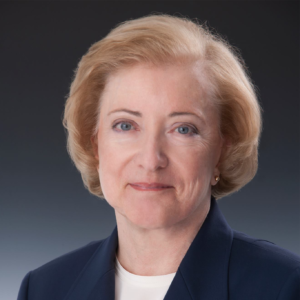 She founded AMH Consulting in 1992 and continues to advise the federal government and private industry on defense, homeland security, and environmental cleanup programs.